The New York Botanical Garden Orchid Show in the Bronx is back for its 17th year and this year’s theme is Singapore, in partnership with the Gardens by the Bay and Singapore Botanic Gardens. 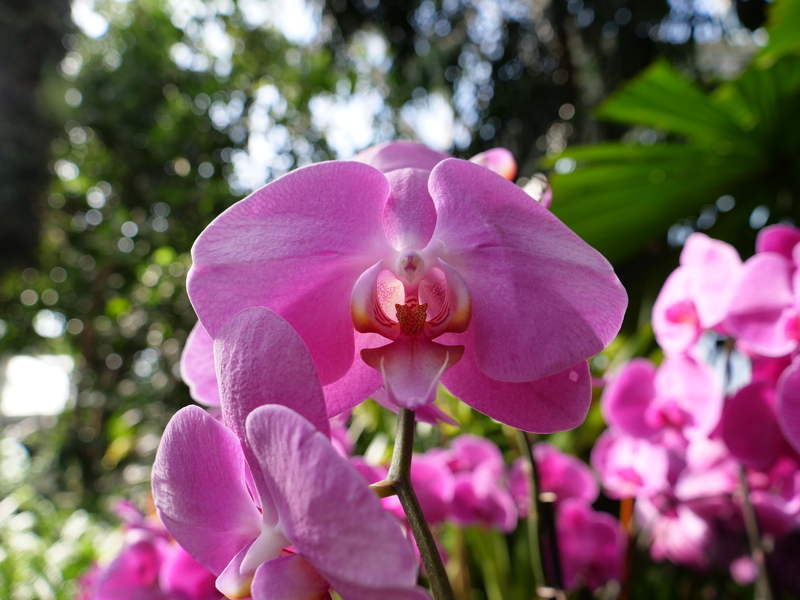 Travel to Singapore, via the NYBG Orchid Show by taking the subway uptown or even faster on the Metro North train from Grand Central to the Botanical Garden stop right across from the museum of plants. 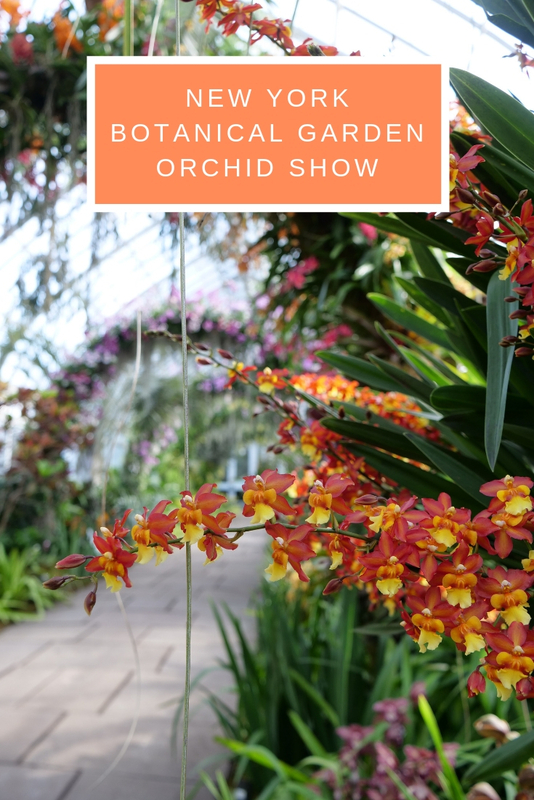 The Orchid Show is open from February 23 through April 28, 2019. Why is Singapore the Orchid Show theme? This is the first year that the New York Botanical Garden, NYBG, named an orchid in the collection after a Public Figure. 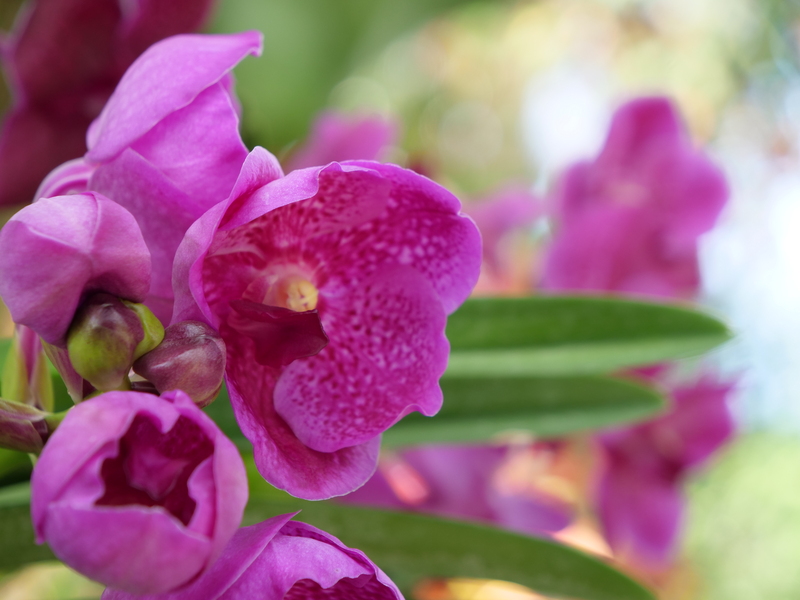 The vivid fuschia flower with spotted details was named Vanda Awkwafina after the actress and musician Awkwafina, who recently starred in Crazy Rich Asians, a box-office hit set in Singapore. Marc Hachadourian, the Senior Curator of Orchids and the NYBG Director of Glasshouse Horticulture, registered the orchid in Awkwafina’s name with the International Orchid Register. The Vanda hybrid orchid is Singapore’s national flower and is also known as the rainbow flower since it is one of the few orchids that flowers in all colors of the rainbow, including purple, blue, orange, apricot, yellow and red, with many different patterns. Take a right when you enter the show and you will see the potted orchid perched on its own table before the Supertree on the right side of the greenhouse. The Orchid Show: Singapore is part of NYBG’s year-long theme #plantlove focusing on the connections between plants, people and the environment. Plants provide oxygen, food, shelter and medicine, and yet there is a phenomenon known as plant blindness that threatens plant existence. NYBG wants to spread #plantlove through their educational exhibits and programs in 2019. Singapore is a small island nation that is both a city and a country with the Hybrid Orchid as its national flower. 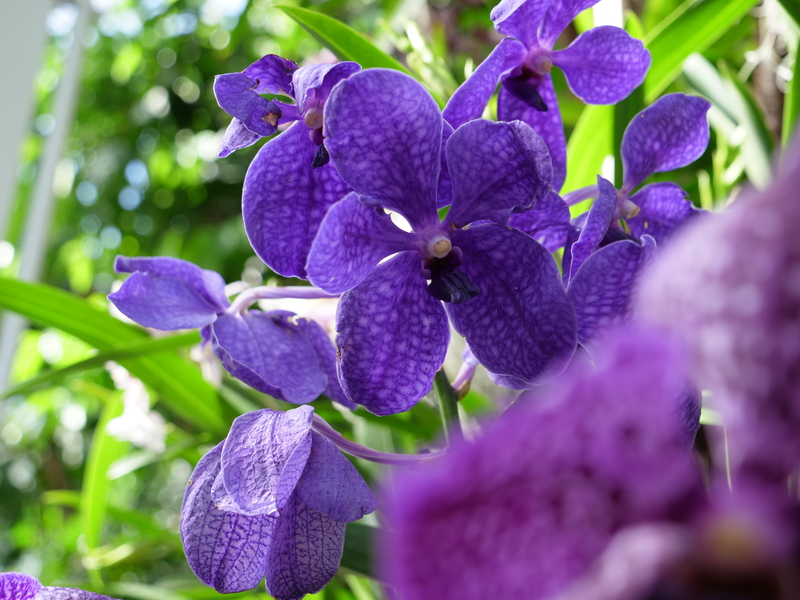 In 1982, Singapore chose the hybrid orchid, the Vanda Miss Joaquim orchid for its vibrant and tough spirit. The orchid is incorporated everywhere around Singapore. Singapore is a collection of islands located on the Malay Peninsula, between Malaysia and Indonesia in Southeast Asia. You may be surprised to find out it is only slightly smaller than NYC. Shortly after Singapore’s independence in 1965 the Prime Minister began building up his urban oasis “Garden City” plan. New buildings are required by law to include plants and green spaces, making it the most tree canopy covered municipality in the world. 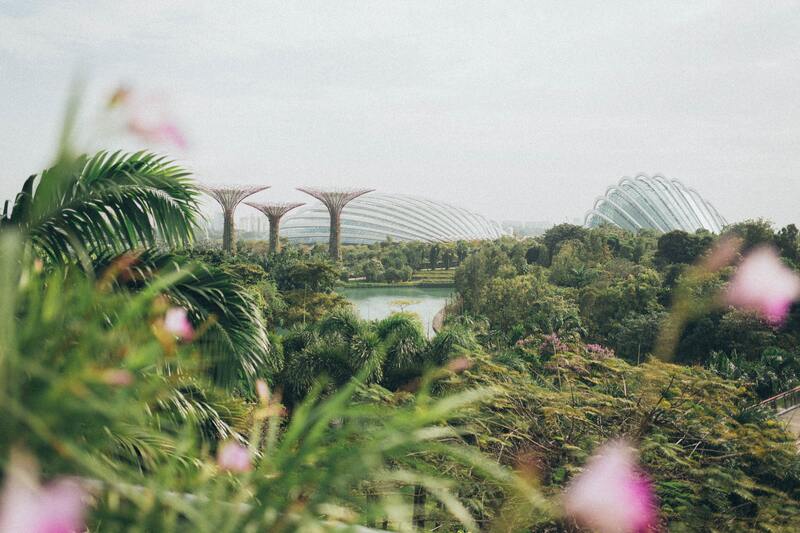 Singapore has moved orchid cultivation forward through sustainable development and a commitment to a greener planet. 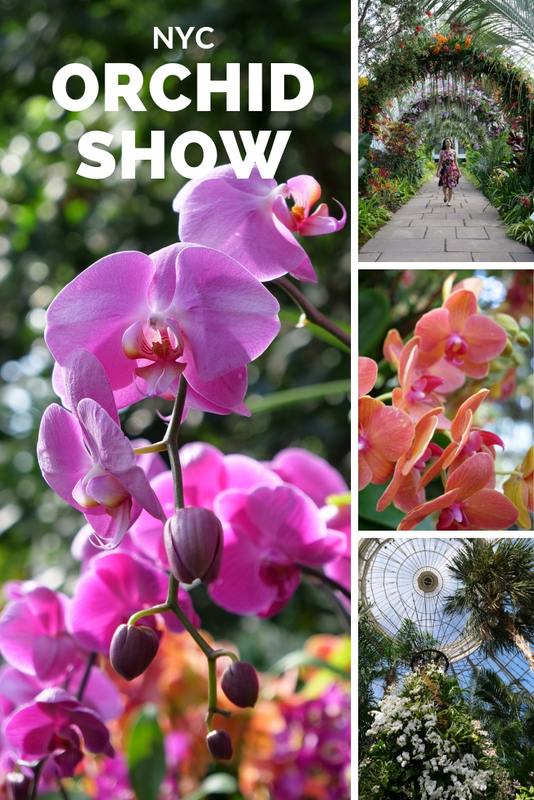 The Orchid Show pays tribute to two of the nation’s top horticultural attractions. The exhibit includes a walkway of arches decorated with flowering plants inspired by the Singapore Botanic Gardens and Supertrees inspired by the vertical habitats in the Gardens by the Bay. 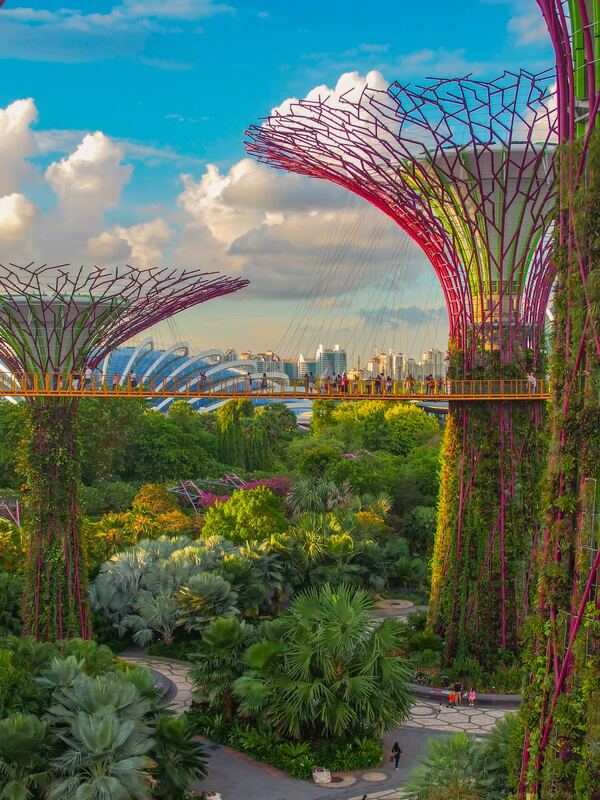 Singapore is known for the massive Supertrees in the beautiful Gardens by the Bay. The 18 artificial trees soar 50 meters high, creating a canopy of solar photovoltaic systems that produce the energy to power lighting and move water through the conservatories. Singapore Botanic Gardens is the only tropical garden in the world that is a UNESCO World Heritage Site. Within the gardens you can see the National Orchid Garden with the orchid covered Arches. The Botanical Garden’s landmark Enid A. Haupt Conservatory is filled with thousands of vibrant orchids from around the world, from Australia, Southeast Asia to South America. There are over 7,000 orchids in the collection with about 4,000 housed in the exhibition at a time, that are regularly replaced. It is a challenge to ensure all the flowers bloom around the same time, but it is done lovingly and with care by Marc Hachadourian, NYBG’s Director of Glasshouse Horticulture and the Senior Curator of Orchids. Marc Hachadourian says he has the best job, which is to keep the NYBG’s permanent collection of orchids happy and thriving. He curates the Orchid Show and even has a greenhouse in his own backyard – he loves horticulture so much he even brings the job home with him. The oldest orchid in his personal collection is over 20 years old, but the oldest in the NYBG’s collection is over 100 years old. The oldest plants are usually miniature and often do not flower during the time of year of the Orchid Show. Orchids can be as small as 1/16 of an inch in diameter to 25 feet tall and come in all colors and patterns. Orchids are the largest and most evolved flowering plant family, with 30,000 wild species growing around the world in all climates. In addition to the wild species, there are now more than 150,000 man-made hybrids. They are found on every continent except for Antarctica. There is even an orchid native to New York, called the Lady Slipper. Orchids were so sought after in Victorian Great Britain that there was a name for the Orchid obsession, Orchidelirium. In the early 1800s, William John Swainson accidentally packed weeds from Brazil that later bloomed to orchids. The wealthy wanted to own these delicate flowers so orchid hunters traveled to South America and the South Pacific to find them. Many orchid hunters were never seen again. Some rare orchids cost over $1,000 per plant, about $24,000 today. One story included a man eaten by a tiger in the Philippines! In addition to the threats of the exotic lands’ wildlife and diseases there was great competition from other orchid hunters. Some of whom would farm the plants and then burn the ground to prevent others from farming there, ruining the natural habitats. The Orchid Show is open late select Fridays and Saturdays to transport visitors to Singapore’s nightlife scene. The installation dances in an illuminated display of lights after dark. Visitors can purchase beer, wine and cocktails at the cash bar, including the Singapore Sling. The Bronx Night Market pop-up will also bring Asian-inspired food vendors, dancers and DJ performances. Orchid evenings are March 16, 23 and 30; April 5, 6, 12, 13, 19, 20, 26 and 27 from 7 – 10pm. You can enter at three times: 7, 7:30 and 8pm. Tickets for these evenings are $38 for non-members and $28 for members. Some shows sell out so purchase your tickets early. Photographers can enjoy special photographers’ hours when there is no general public attending, but serious photographers only. Capture the orchids in natural golden light and this is the only time you can bring your tripod (no backdrops or screens). The two Special Photography Hours are scheduled for Friday, March 22, from 8:30 to 10am and Tuesday, April 16, from 6:30 to 8pm. A Flash Photography class with Jeffrey Falk will take place on Tuesday, April 2, from 9am to 3pm, and will help photographers master lighting techniques and include an image critique. If you thought orchids were impossible to keep and care for, you can attend the Phalaenopsis care class where Frank Guida shares how to ensure your phalaenopsis blooms every year. You will even pot a phal to bring home. Frank Guida also teaches how to divide, repot and rejuvenate orchids on Sunday, April 7, at 10am to 12:30pm. Create a table centerpiece with Barbara Schmidt on Saturday, April 13, from 11am to 1pm. Plant an orchid and air plants in an open-style terrarium with Maria Colletti. This is the only class not at the NYBG but at the Midtown Center, Tuesday, May 21, from 6:30 to 8:30pm. Visit the Orchid Show at the New York Botanical Garden from February 23 – April 28, 2019. To see the show during the day, go early on a weekday to avoid crowds. For more information visit their site: nybg.org. Read next: 11 best things to do in Singapore or take a personality quiz to see what kind of traveler you are and where you should travel next! Really enjoyed the blog on the orchid show at NYBG. Great video, photos and text. Well done. Thanks for posting! Thank you so much, absolutely loved this year’s theme of Singapore and enjoyed learning about it while researching this blog post!